timebymail ... watch and jewelry accessories Shop wholesale feedback People are saying that watch repairing is a dying trade, well let us help you find top quality horologist tools and accessories at trade prices. We specialize in supplying watch repair kits and accessories to the trade, we try our utmost to supply all the tools you'll need to repair your watch, from the budget starter packs to high quality Swiss tools. 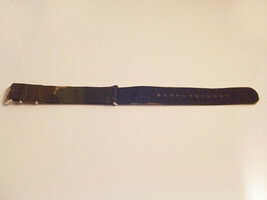 Other Products shop Leather Straps 16 to 30mm Omega Dynamic Straps Stainless Steel Straps Rubber/Silicone Straps Nylon Watch Straps Swatch Straps Other Watch Parts Wholesale Watch Straps Vintage Watches/Straps Watch Tools Watch Crystals Clock Parts and Tools Jewelry Tools and Display Quality Nylon Military Style One Piece Watch Strap Sizes Available - 20mm This NEW 1 Piece, Green Camo Nylon strap measures 26cm in length (including buckle) and is about 1.2mm thick and the buckle and attachments are made of stainless steel. 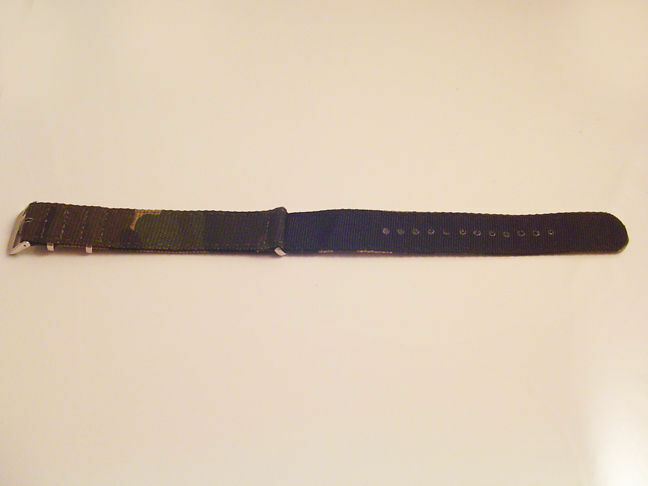 The Nylon strap has been stitched around the strap keepers to give it extra strength and the holes have been heat sealed to stop it fraying. 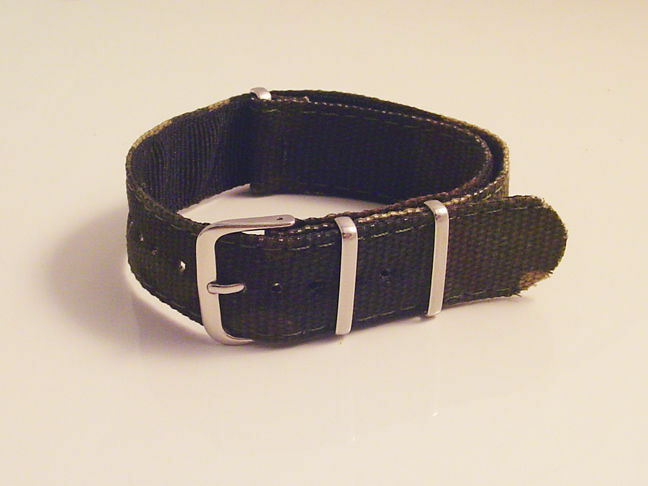 A nice looking strap that will complement most modern and vintage watches. 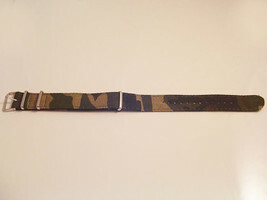 We also have this strap in green, black, striped and camouflage in our shop. Condition - NEW Colour - Green Camouflage / Silver Buckle Lug Size - 20mm Length - 26cm Thickness - approx. 1.2mm Material - Nylon We would be grateful if you could confirm your address as soon as possible after payment is made. We are truly sorry for any inconvenience this may cause but unfortunately Paypal are giving some addresses as "Not Verified".